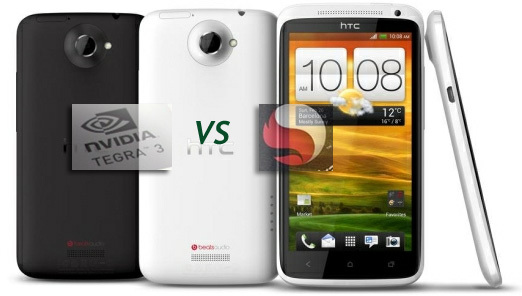 Home / android / htc one x qualcomm processor / htc one x tegra 3 processor / mobile / two variants of htc one x / HTC Supremacy – Dual-Core or Quad-Core HTC One X? HTC Supremacy – Dual-Core or Quad-Core HTC One X? In 2009, when the Android platform started gaining more popularity with the introduction of the HTC Nexus One and the original Motorola Droid, no one could anticipate the excellent growth the platform would present. Within just 3 years, Android has now become the world’s leading smartphone platform, offering an operating system for almost 60 per cent of the smartphone market. With such a huge progress of the Android OS, I could only think that my collection is not large enough, that for some unknown reason, I need one more smartphone in it. Note that this is not “smartphone gluttony”, but I would rather express it as a way to compare the latest with the oldest. The HTC One X was thusly entered into my lineup. However, those living in the US might know that there are two different models available on the market. On the one hand we have the HTC One X with the quad-core NVIDIA Tegra 3 processor and on the other, we have the One X with the Qualcomm Snapdragon S4 dual-core processor. Both of these present similar specs for the rest of the deal, but which one should you choose? The reason for which HTC did not use the same Tegra 3 chip on all devices was that the NVIDIA manufactured processor does not offer 4G LTE support. On the other hand the Qualcomm solution does. Now you might know that in terms of dual-cores, the Snapdragon S4 is a monster managing to take down anything in this sector. However, recently someone got the two different HTC One X models side by side. I do not think that anyone was surprised when the Tegra 3 powered One X took the lead. The two devices were booted up next to each other and the quad-core variant had a 20 seconds lead already when starting up the device. Not only that, but as soon as synthetic benchmarks were thrown into the mix, the One X with the Tegra 3 chip kept pulling away. Offering four cores and a 12-core GPU architecture, the NVIDIA chip has huge amounts of raw processing power. This will obviously translate into browsing, recording or viewing files as well as playing games. In all these aspects, the quad-core is ahead. But don't think for a second that the Qulacomm Snapdragon S4 chip is a slouch, since it will destroy anything with a dual-core processor in it. The device is snappy offers 4G LTE connectivity and ofcourse has the same killer looks and features as the quad-core sibling. The real question should not be dual-core or quad-core but rather 4G or 3G? Catalin is a hardware nut as big as they come. When he does not reminiscence over his quest for Samsung faceplates or drools over some cheap cell phone cover on Lower Price USA, he plays around with any gadget that falls into his claws. If you need specs, reviews or benchmark results- He has them!